Eleven years after the last inter-Korean summit, the leaders of North and South Korea have again joined hands to sign a joint agreement – the Panmunjeom Declaration of April 27 – this time committing to “complete denuclearization” of the Peninsula. 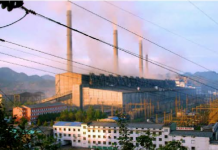 The inclusion of such language in the declaration is being considered by some to sufficiently meet unofficial preconditions set by the US for the upcoming Trump-Kim summit. 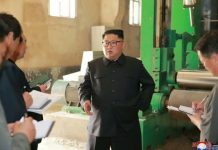 The “measures being initiated by North Korea” appears to be in reference to announcements Kim made during the 3rd plenary meeting of the 7th Central Committee of the Workers’ Party of Korea on April 20 to freeze nuclear and ICBM tests and shut down the Punggye-ri nuclear weapons test site. But most importantly, inclusion of language committing to ‘complete denuclearization” of the Korean Peninsula sets the stage for the upcoming summit between Kim Jong Un and US President Donald Trump. Experts are now looking to the US-North Korea summit to see whether the two leaders expand upon this commitment with more details regarding how denuclearization will occur. presented after a series of meetings on April 27. The US-North Korea summit is expected to take place sometime in late May or early June, although the date and location have yet to be announced. Expectations are especially high because a roadmap for peace between North and South Korea depends on whether Trump and Kim reach an agreement over the North’s denuclearization, and more importantly whether that commitment leads to verifiable results. “We will now have to look towards the US-North Korea summit to see if the North asks for safety guarantees for its current system in exchange for denuclearization,” Oh added. 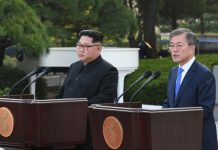 “The US-North Korea summit to take place in late May or early June will have to sufficiently address the topic of ‘complete denuclearization’ in order for the cooperation spelled out in the Panmunjom Declaration to be implemented, added Cheong Seong Chang, a senior researcher at the Sejong Institute Department of Unification Strategy Studies.